Our cardamom is grown on a single estate in the cloud forests of Alta Verapaz, Guatemala, a biodynamic farm using traditional organic methods. The terroir is ideal for cardamom, which thrives in humid, high altitude environments with plenty of rainfall. 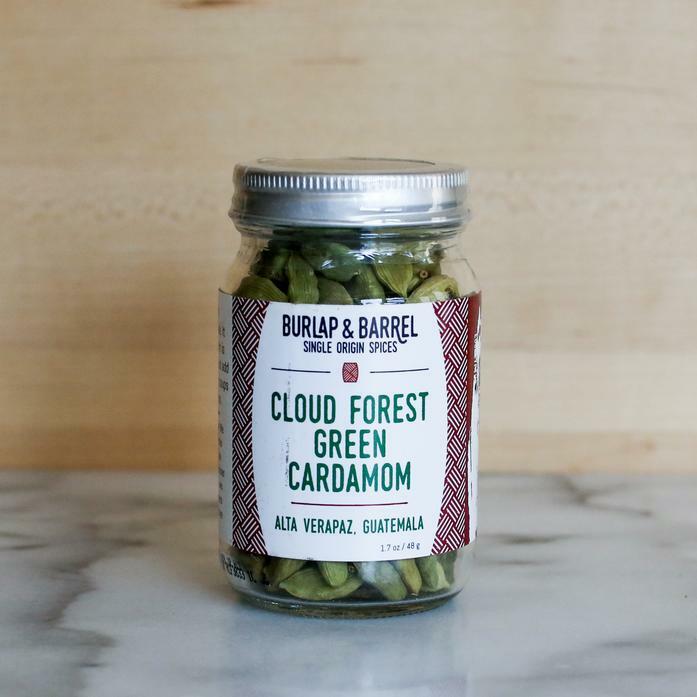 Our green cardamom is bright and herbal, with warm notes of ginger and pine. Grind and add to cakes and pastries, or use whole in soups and curries for fragrance and elevated flavor. Each order contains one 1.7 oz jar.